This is a talk given at the STScI 2018 Spring Symposium, on 25 Apr 2018, at the Space Telescope Science Institute, Baltimore. 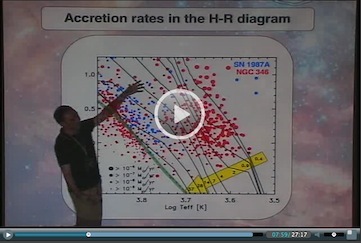 A webcast of the presentation and the actual slides are available online at the STScI Webcast Centre. This is a talk in the series of the Heidelberg Joint Astronomy Colloquium given on 28 January 2014 at the University of Heidelberg. 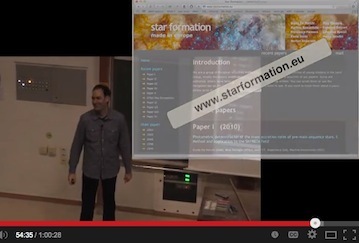 A webcast of the presentation is available online on YouTube. This is a talk given at the Orion Nebula Cluster Workshop on 14 October 2013, at the Space Telescope Science Institute, Baltimore. 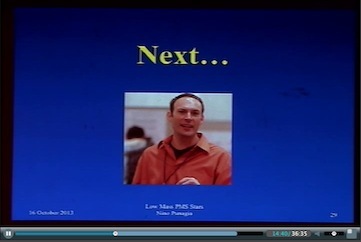 A webcast of the presentation and the actual slides are available online at the STScI Webcast Centre. 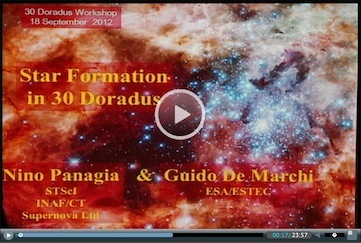 This is a talk given at the 30 Doradus Workshop on 18 September 2012, at the Space Telescope Science Institute, Baltimore. A webcast of the presentation and the actual slides are available online at the STScI Webcast Centre. This is an invited talk given at the STScI 2010 May Symposium, on 3 May 2010, at the Space Telescope Science Institute, Baltimore. 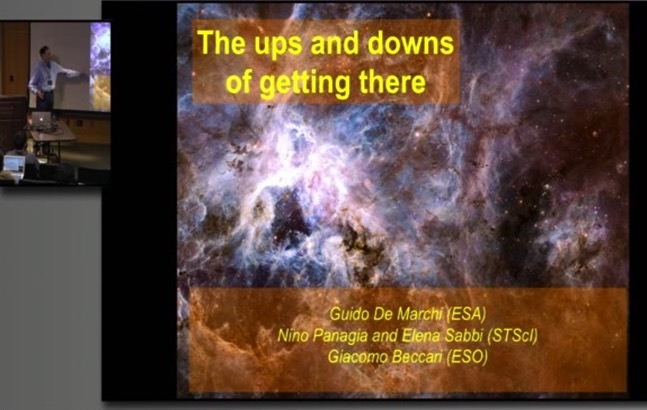 A webcast of the presentation and the actual slides are available online at the STScI Webcast Centre.